Buddha nature can be described as the inherent goodness that lies at the center of each person’s experience. It is the part of the self that is connected to wisdom and compassion in an unbroken way. Much of the practice of Depth Hypnosis is designed to help people return to a felt and lived sense of their Buddha Nature. Although the words “Buddha Nature” may never be uttered in the clinical setting, the primary therapeutic goal in the resolution of any symptomology is that the client reestablish this sense of themself. One of the ways that Depth Hypnosis clients come into contact with their Buddha Nature is through an altered state process where they are guided to connect with what in Depth Hypnosis is called “the part of yourself that has your best and highest good as its sole intent.” People may perceive this part of the self in any one of a variety of ways that has meaning to them. Clients’ relationship with this part of the self, or their Buddha Nature, is fundamental to the work of Depth Hypnosis that follows. As the individual develops a relationship with this part of the self through the inner work of the model, their understanding of their Buddha Nature grows. Ultimately, their experience of themself deepens into this connection more and more fully over time and they come to know themself through this lens as the karmic patterns that have been driving the symptoms that brought them into the clinical setting dissolve. In Depth Hypnosis it is understood that the symptoms people come for help with are a function of their karmic patterns. Karma is another concept drawn from Buddhist thought and philosophy. Depth Hypnosis sees karmic patterns as patterns of behavior that emerge due to the way a person approaches their life circumstances. Most people are very attached to having things be a particular way before they can be happy. Others feel they must avoid certain circumstances at all costs in order to be happy. Both develop misconceptions about the nature of themselves and those around them as they seek to create a life that only includes what they want and excludes what they don’t want. This, in simple terms, is the Buddhist teaching of the Four Noble Truths: we suffer when we are unaware of how our attachments and aversions drive our behavior. In Depth Hypnosis, the Four Noble Truths provide a diagnostic tool to help the practitioner determine, where to direct the course of inquiry to resolve the symptoms the person has come for help with. Another related principle in Buddhist philosophy that provides a cornerstone for the Depth Hypnosis therapeutic experience is that we all create our own reality. In the clinical setting, this idea can initially be a challenge to those who feel they are not in control of their lives and that the problems they are having are beyond their own doing. However, most people quickly discover how empowering it can be to recognize the ways their choices contribute to their unhappiness. Whenever we take personal responsibility for our condition, we have more power to change it, because we can then make different choices that will have different outcomes for our happiness. I will be teaching the Depth Hypnosis Foundation Course at the Sacred Stream Center in Berkeley, CA, starting August 7. 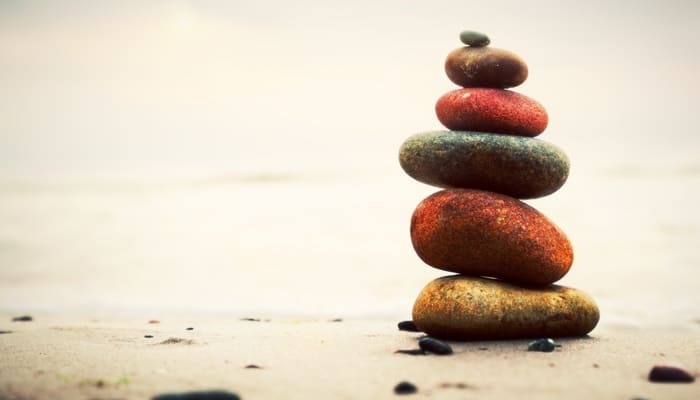 This workshop will provide greater insight into Buddhist principles and ways of applying them in a therapeutic setting.